Depict one of the most pivotal scenes of the entire Star Wars series! 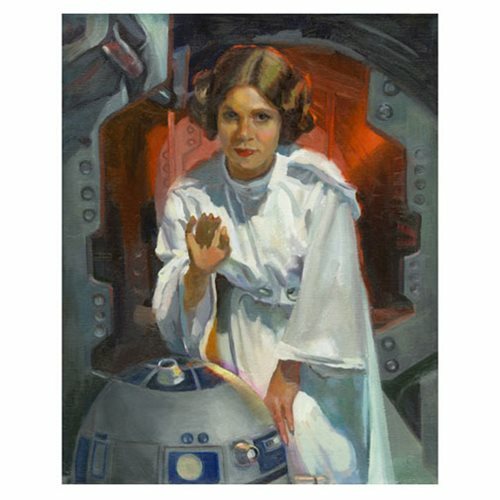 This Star Wars My Only Hope Canvas Giclee Art Print features Princess Leia as she gives the Death Star plans to Yoda and leaves the message for Jedi Obi-Wan Kenobi. A limited edition of 95 pieces on canvas, this fantastic giclee by C. M. Cooper measures 20-inches tall x 16-inches wide, hand-numbered and signed by the artist!